Picatinny Rail, Aluminum, Low Profile, 12" | Gun Parts Corp.
Manufacturers AR15 / M16 M16 M16 Accessories Picatinny Rail, Aluminum, Low Profile, 12"
Give some personality to your AR-15 Rifle. Features an ergonomic design with versatility in mind. ATI products are manufactured in the USA and offer a limited lifetime warranty. 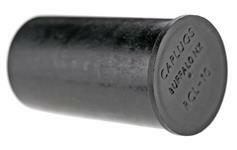 Designed specifically for ATI’s AR-15 8-Sided Free Float forend. Allows the continuation of the AR-15 upper receiver rail along the length of the rifle and can be installed flush to the upper receiver. Made of Military Type III Anodized 6061 T6 Aluminum. 15" Long, Weighs 12 oz. Carbine Length, Weighs 5.2 oz.